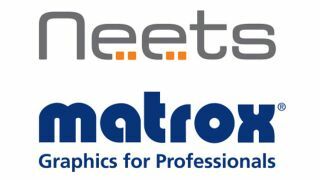 Matrox has announced that its Matrox Mura capture, encode, decode, and display cards are now compatible with the complete range of control systems from Neets. Enabled through a dedicated Neets device driver that is automatically accessible within the Neets software, system integrators and AV builders now have a simple, centralized, and cost-effective option to access and manage Matrox Mura-based video walls within AV-control environments. The Matrox video wall portfolio features multi-functional, single-slot boards, and when paired with Neets’ industry-renowned control systems, offers a platform that drastically simplifies the integration process. Leveraging the Neets device driver, system integrators can now support installations featuring seamless, real-time video wall communications from a Neets touch panel and control system to a Matrox-based video wall controller via RS-232. Users can then effortlessly manage baseband and IP sources on local or networked video walls—alongside full room, light, and audio control—for truly smart operations. The Neets device driver is now included in the extensive device driver library that is part of the Neets software.